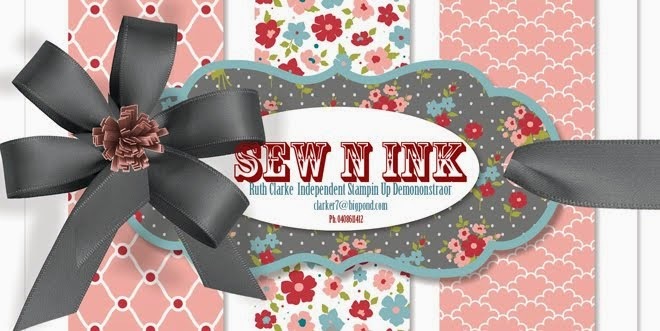 Sew N Ink: Where have I been? Where have I been you ask, long time since blog posts. There is over a years work of inspiration and history to be had so far on that page, just 'like' it and you're in! Well I've been working my day job, looking after my family and enjoying the holiday stays of my grandson Logan. When I'm not doing all that I am having fun and been kept busy with my role as a Stampin Up demo. I've always taken life as a "nothing tried, nothing gained" approach. I always tell myself to everything there is a season and if you have the passion for something enough (and it will do your life well in a healthy way) its worth exploring it, so it is with my Stampin Up journey. I've never in all my years of scrapbooking (that dates back to 2002) considered myself a 'stamper' but in a search to acquire a spiral punch (popular among scrapbookers) my good matey Diana Osborne told me stampin Up sold one (now retired) so lead me to contacting a local demo, brought a catalogue, than decided to have a workshop, found out my wish list was looking like a toilet roll's worth instead- after attending a few workshops (3 in all) decided I'd prefer the discount (20%) and joined!!! Upon joining I started out happy to be a 'hobby demo', but after a few months thought why not have a launch and see if anyone turns up, take it from there. 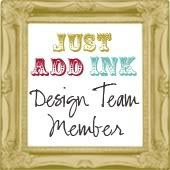 If you are curious to be part or inquire on how to be part of the Stampin Up family contact me via mobile (p.s. don't forget to email for password) & check out here- click JOIN NOW. so stayed tune,come back soon for updates and photos!